Overall, staff and management is very helpful. If you have any questions they can help you out and office hours are flexible for everyone. I enjoy it here. It's awesome. I live here with one of my high school friends and we are having the time of our lives. Maintenance has always been helpful and parking is great. Pretty average experience as far as apartments go. The grass gets cut at 9-10 am-ish on certain days. This can be annoying when trying to sleep in. I have never had a severe issue with this complex. Maintenance has always been helpful when fixing/replacing things in my apartment and the office has always helped when there has been an issue with my rent or anything. The random roommate selection could be better but other than that great first place for college students! Great place!! Very affordable prices and very close to campus so I don’t have to drive so far for school!! I would strongly recommend if you’re a MTSU student needing a close apartment! Never received things we were told to be getting ON MOVE IN DAY. The orange cones at the entrance are often too close together to drive through in a truck without knocking them over. Not neighborly whatsoever. It seems as if a large community of Adults live here when it is advertised as a student quarters. I have been living in 1540 place for 2 years. I had some problems with maintenance and sometimes I did not feel safe in my apt. I have to say that the managment improved the last year, they respond more quick to complaints and they set a police officer during the night hours to check the area. 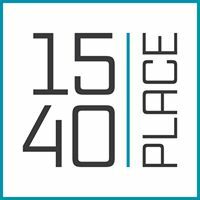 I think 1540 place has potential and with little improvements could be so much better. Still not so sure about my safety. Thrilled Jenny is back to lead the property. Hope they really do make the improvements promised. Not sure if renewing. I don't like this place. I can get waken up at 7-8 every morning by people outside my building, I'm overcharged for utilities that are supposed to be "included", and things are CONSTANTLY breaking. Overall a pretty good experience. The amenities are lacking, however, I know that some amazing renovations are coming soon!! The pet deposit and registering has become so much more affordable. It's going to be great!! I feel as if it's a wonderful place to live, its always the people who don't belong here stirring things up. Besides that though its a nice place for your first apartment. This isn’t the worst place I’ve lived by any means, however I have had charges appear a few times with no proof of what they where and why I was being charged. But other than this the complex is mostly quiet all the time, the apartment itself was pretty clean upon move in, and the staff is available almost every time I need them for any issues. Apartment complex itself is okay and maintenance is getting better. The change in management was rough but they seem to be getting their footing. Can’t stand the assigned roommates, though. There are things that can be improved but overall solid and affordable living. Big shout out to the maintenance team that is ready to help fix problems. Pretty decent place to live and pretty cheap as well. It has everything I need and plenty of other things that I don’t even use. It’s 10x better than my parents place. Would be 5 stars but I had terrible roommates. Overall the complex is amazing and has a wide diversity of people to meet. The workers in the office are also super nice and professional as well. Just a nice place to live. Friendly staff. Willing to work with you. Close to restaurants and stores. They are very helpful here. It's a nice place if you have pets too! Love that the rent is going down for next lease period and utilities are included. Communication and training of office workers can be better with all office workers, more timely manner with maitenance, and better inspections of apartments before people move in. It's a nice experience. It's not too loud, so I can study and do my homework in my room. And the yard is well maintained. I like getting free internet connection and I don't have to pay for cable.